Beacon technology is one of the many new technologies that has percolated in various aspects of our lives. People are coming up with several new applications of the technology from every nook and cranny across the world. Although beacon technology was considered to be ideal for retailers only, it has swiftly made its way across various verticals like movement tracking, real-time indoor navigation, proximity marketing, and mobile payments. Another area that has been permeated by this technology is event check-in. In many events, people have to wait in long queues for the check-in process. Once a person shows his pass, a lot of time is taken in finding the saved details of the user and confirming their authenticity. This process of user check-in can be substantially shortened by using Beacon technology, providing a great user experience at the same time. And all that is required of a user is a BLE 4.0 enabled mobile phone. User registers online for the event and gets an entry pass (through message or mail). Upon reaching the venue of event, the attendees show the pass to attendants who verify the details. Once the details are verified, attendees are granted access to the event. 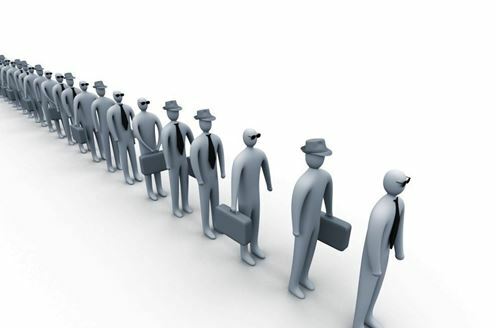 But in most cases, the process of manually verifying the details takes a long time and thus leads to long queues. How can Beacon Technology help? So, how can we use beacons for the verification of attendees? And how do they help in reducing the length of queues? When a user completes the online registration process, he/she is asked to install an application which will serve just like an entry pass. Beacons are installed on all the check-in counters at the event venue. The user also needs to sign-in with his credentials in the application. As soon as the user approaches the counter, the application detects the beacon. An access code is generated and is displayed on the application in user’s mobile phone. At the same time, user’s name is displayed on the system placed at the counter. The range of beacon is kept less so as to allow only a few (4-5) names to be displayed on the system screen. When user approaches the system, they find their name and click on it. 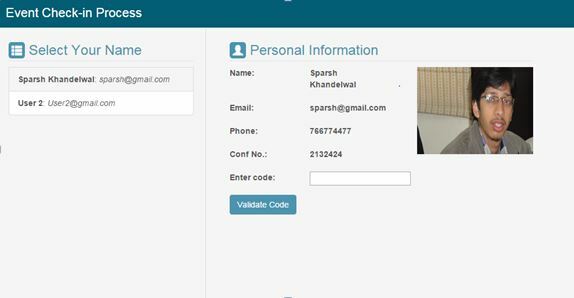 The user’s details will be shown on the system as shown in the image below. The user enters the access code in the space provided and the access for the event is granted if the entered code is correct. The time consumed in a check-in process is reduced substantially as the vast majority of the time taken manually searching for user’s details and verifying them is saved. This helps in faster elimination of queues and the waiting time for everyone decreases. Apart from the check-in process, beacon technology can be very helpful in other event management processes too. We can use beacons for navigation guides across the venue for the public. They can also be used to inform the attendees of various regions to encourage them to explore. They can be used to deliver the digital content for various events taking place. In these ways, beacon technology promises to be extensively helpful in offering the attendees enhanced engagement and experience in any event. Sir do you have the report of this project? Have you made any app till now for the beacon indoor tracking with proximity defined and generating alerts in system whenever there is an unauthorized access.